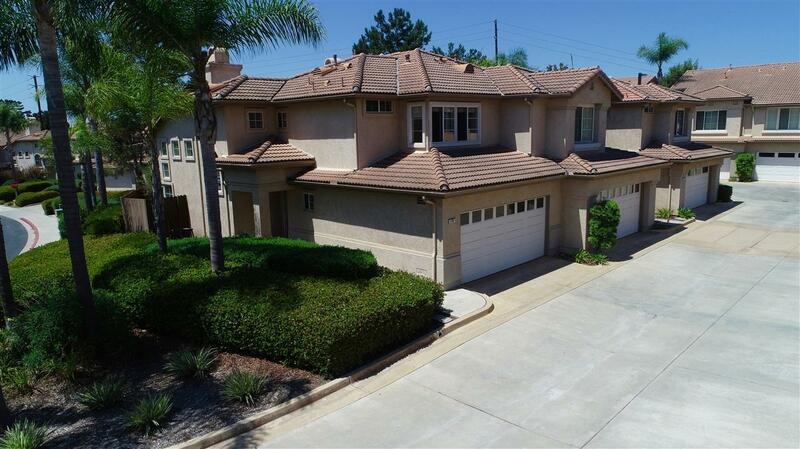 Like new in the Rancho Del Oro gated Alacima Community. This corner unit lives like a detached home. Wood floors on the main floor, plus enjoy outdoor living on your spacious patio. The vaulted ceilings and open floor plan gives you a spacious feeling. This home has lots of natural light. There are two upstairs master bedrooms each with a private bath and a 1/2 bath downstairs. Close to shopping & the beach.You will love the resort lifestyle including a swimming pool. Move right in!